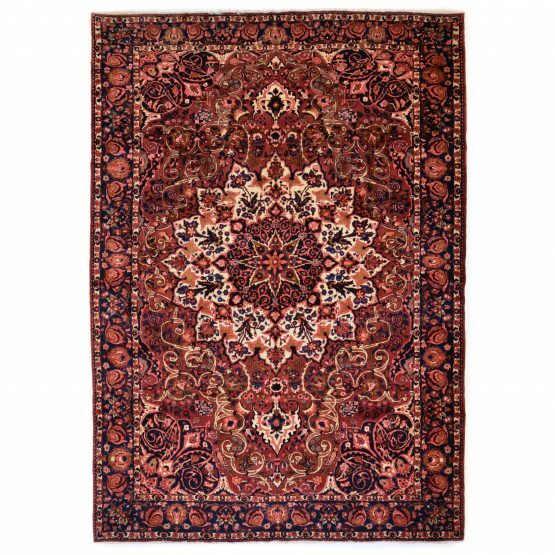 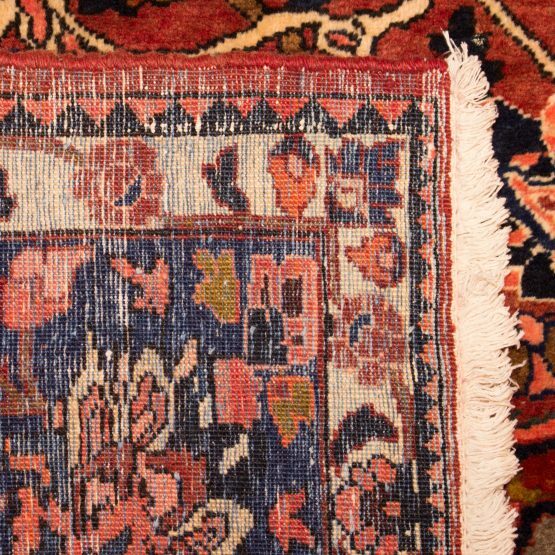 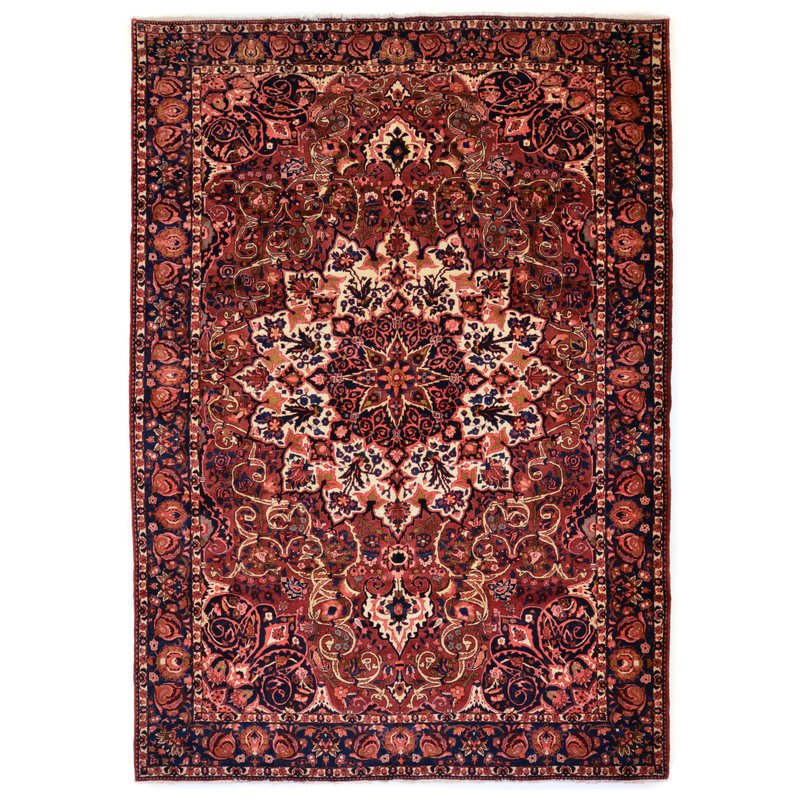 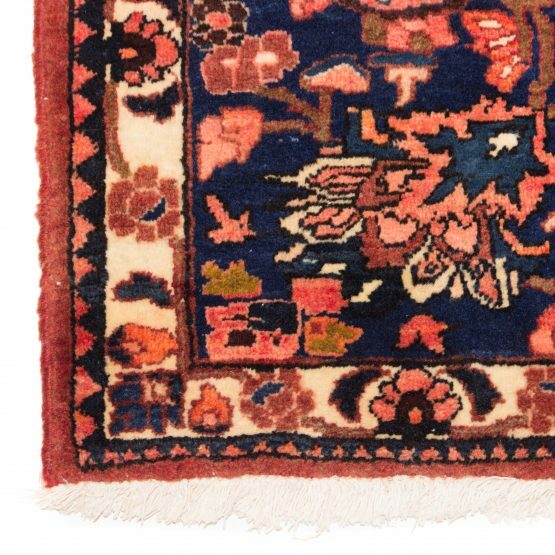 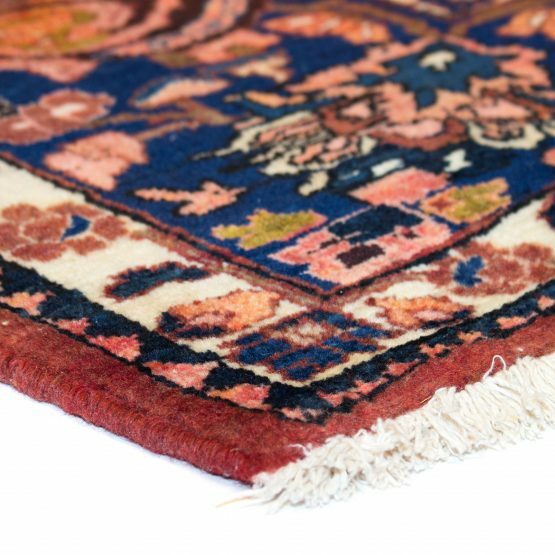 Persian Bakhtiari carpet circa 1970 with a medallion floral motif in a rich color palette with reds, blues, ivorys, corals and other colors throughout. Very good condition. Approximate size is 10’6″x13’9″, item SKU is 649.